Global depletions of Tequila rose by 1.5% in 2012, according to Impact Databank, roughly matching their performance from 2011. Longtime category leader Jose Cuervo suffered a 2.5% dropoff last year, even as its 1800 offering continues to carve out double-digit growth. While Cuervo remains more than two times bigger than any competitor, rivals like Sauza (+4.6%), Patrón (+6.7%), Cabrito (+14.0%), Juarez (+7.8%) and upstart Camarena (+27.0%) are driving total Tequila depletions toward the 20-million-case threshold, which the category will likely surpass this year. While shipments to key markets like Germany and France were on the wane last year, they increased in the U.S., the U.K. and promising Asian markets including Japan and Singapore. 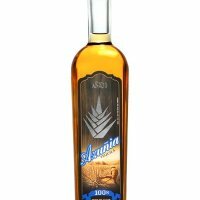 While accessibly priced 100%-agave products like Camarena, Lunazul and others are thriving at the lower end of Tequila’s premium range in the U.S., the high end has also been leading much of the category’s growth—increasing at a rate more than three times that of Tequila overall. DISCUS reports that Tequila’s super-premium segment was up 9.1% by volume in the U.S. last year. “It’s apparent that consumers have come to understand just how different—and better—those Tequilas are at the top end of the category,” said John McDonnell, president, international and COO of Patrón Spirits Co.
As 100%-agave newcomers and high-end competitors continue to tap consumer trends moving in their favor, Cuervo will look to regain momentum with a new U.S. marketer this June, when it transitions from Diageo North America to Proximo Spirits. That shift and Diageo’s next move—the company has suggested it will launch a new Tequila brand—promises to make this year interesting in a spirits category that’s already among the most dynamic.